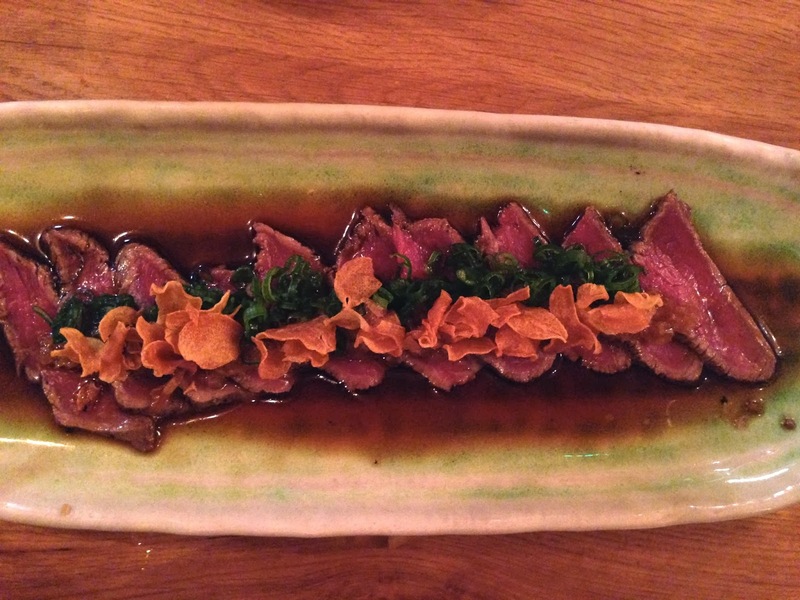 On Valentine’s Day, I treated my boyfriend to a meal at Kurobuta, the latest pop-up to charm London and handily located (for us) on the Kings Road. A preview of the main premises opening in Marble Arch this year, the pop-up is in its second innings and, I’m pleased to add, is available to book online. How refreshing. We love Japanese food so it was a real treat and, I might hasten to add, one that we would love to repeat again, finances permitting. 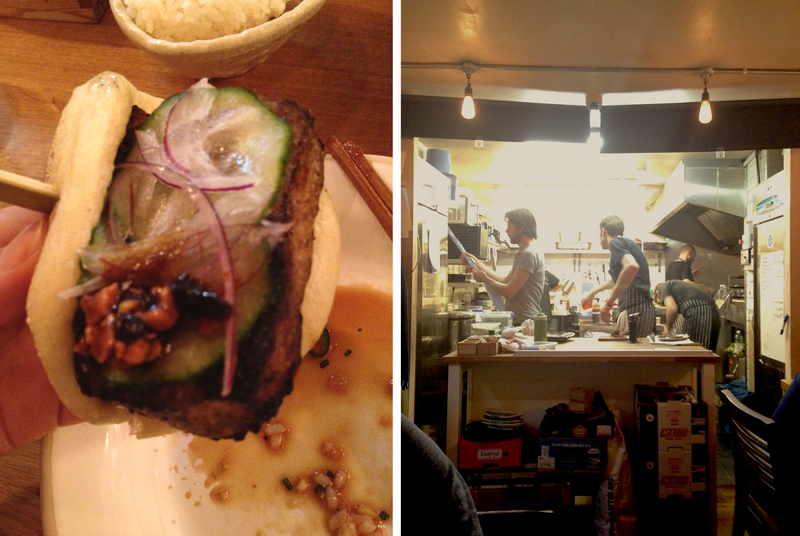 Kurobuta is an informal, izakaya (pub)-style restaurant headed up by former Nobu head chef, Scott Wallsworth, and food is served in small plates designed for sharing. 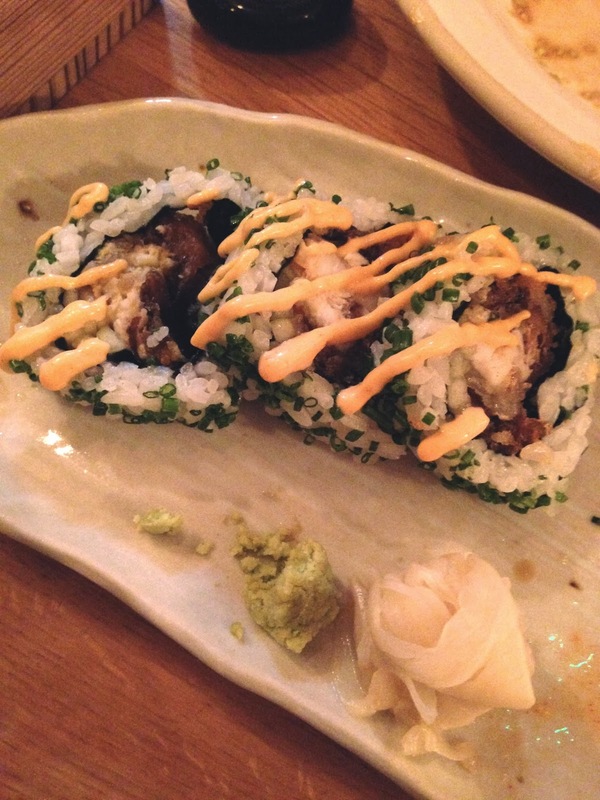 Like Nobu, the food is insanely fresh and well-prepared, with interesting flavour combinations like soft shell crab sushi with kimchee mayonnaise or a jalapeño dipping sauce with the herb-spiked salt and pepper squid. Also like Nobu, the prices can easily run away with you. We only ordered four dishes and could easily have eaten another four, but our budget didn’t stretch that far so we had to be very restrained! 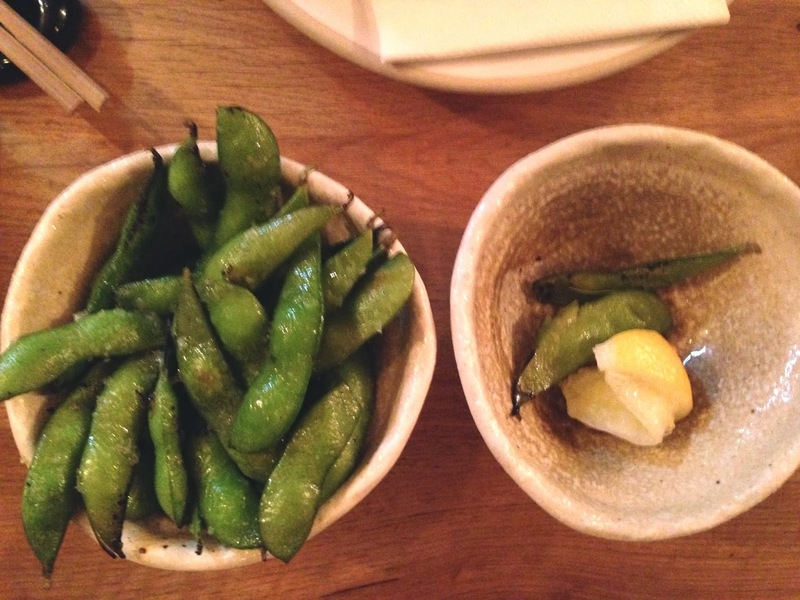 First up were flamed edamame beans with lemon and salt. These were nothing like the perfectly tasty boiled ones you get in your average London sushi joint - they were juicy and sweet with a tantalisingly salty crust and such a rich depth of flavour I had to ask the waitress if they were cooked in beef fat as the first bite tasted like a steak (they’re not, btw). For our main dishes we had delicious soft shell crab tempura maki with kimchee mayonnaise (my favourite), paper thin beef tataki with spring onions and garlic crisps (his favourite), salt and pepper squid, which I felt there could have been more of, given the portion size I saw of the rock shrimp tempura and the much-hyped about pork belly buns which were a great filler, but not particularly Japanese. D also had a bowl of steamed rice for a little extra bulk (boy’s gotta eat!). The total bill came to £90, including (seemingly non-optional) added service. To drink, I had a Chelsea ice tea cocktail and my boyfriend had a pint of Kirin and a small glass of sake. The sake was a little disappointing as we thought for £10 it might be a small flask as you would get in Japan, with perhaps two small glasses in it, and I think he would have preferred to spend half the money on another beer instead. The drinks definitely pushed the price up, but added to the festive occasion. If you want to spend less, go at lunch time. I also wanted to add that this is by no means a regular occurrence for us, but I felt that the meal was worth it. The food is so delightful and, though some of the dishes are a little on the small size, I don’t feel that they are bad value. They are just pricey. 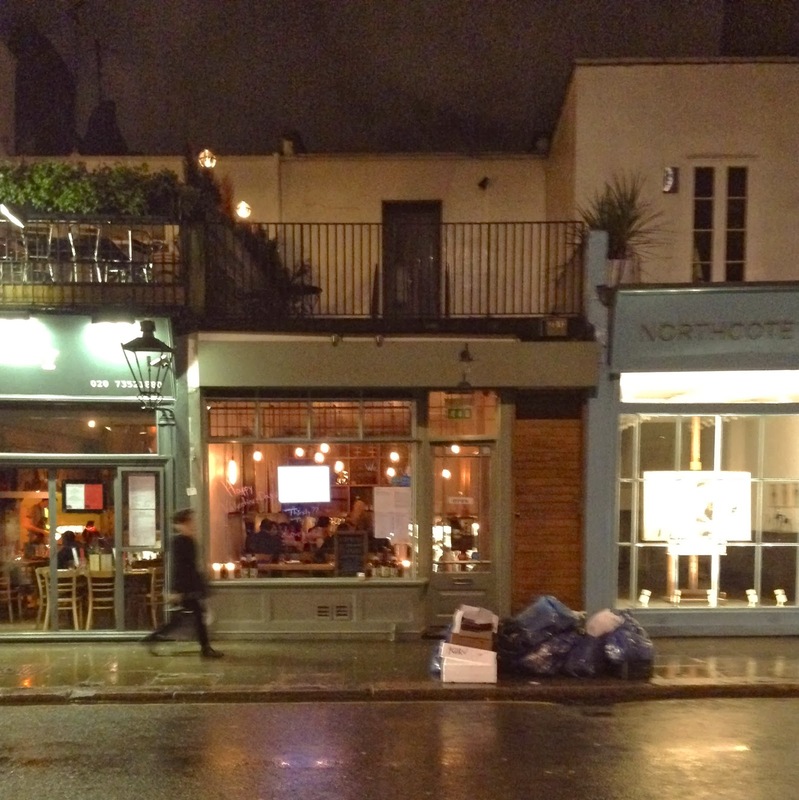 The restaurant has a lovely, cosy and informal atmosphere and the service was nice and relaxed. We were sitting in the downstairs part which felt a bit like a thoroughfare as it was right next to the open kitchen, but I really liked seeing the chefs at work, and even think head chef Scott was there himself, casually chopping tuna tartare! Holy moly that place looks amazing, it's on my list!